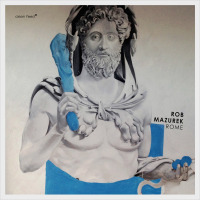 Currently residing in Brasilia, Brazil, but making frequent returns to his hometown of Chicago, cornetist Rob Mazurek is the quintessential international artist, and one of the Windy City's most prolific scene leaders. A former hard bop prodigy, Mazurek long ago took the road less traveled, developing into one of today's most creative sound sculptors. Moving beyond the confines of traditional performance, he has expanded his reach as a multi-media artist while continuing to lead the Chicago Underground, Exploding Star Orchestra, Mandarin Movie and Sao Paulo Underground. A magnanimous collaborator, Mazurek's numerous collectives all possess their own distinct identity. 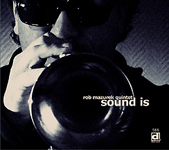 Billed as the debut of the Rob Mazurek Quintet, Sound Is marks the first ensemble session (besides the Chicago Underground's 1998 Delmark debut, Playground) recorded under his own name since his mid-nineties hard bop releases for the Hep label, making this album unique in his recent discography. 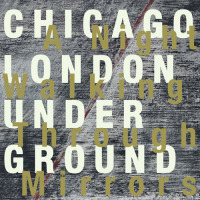 Featuring some of Chicago's finest; Mazurek's quintet reveals a mixed pedigreeequal parts indie rock and jazz. Drummer John Herndon (Tortoise, the For Carnation) and electric bassist Matthew Lux (Isotope 217, Iron and Wine) bring an accessible pop sensibility to the driving rhythms and soaring melodies of Mazurek's sanguine tunes. Acoustic bassist Josh Abrams (Town and Country, Black Earth Ensemble) and vibraphonist Jason Adasiewicz (Loose Assembly, Rolldown) provide sophisticated harmonies and colorful textures befitting their jazz lineage. 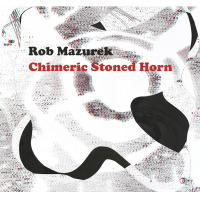 Like visionary trumpeter Bill Dixon, (with whom he has recorded) Mazurek uses mutes, false fingerings and myriad extended techniques to explore the endless timbral possibilities of his instrument. Possessing a vast dynamic range, he veers from torrents of bristling linearity and hazy chromaticism ("The Hill," "The Lightning Field") to sumptuous lyricism ("Cinnamon Tree," "Microraptagonfly"), revealing a surfeit of expressionism as the unit's sole horn. Equally impressive is the elastic rhythm section. Lux weaves melodious bass fragments into infectious ostinatos while Abrams embellishes dulcet harmonies with sinuous arco and plucky pizzicato. Herndon provides rambunctious muscularity to "The Hill," freewheeling verve to the riotous "Aphrodite Rising," and nuanced finesse on the sublime tone poem "As if an Angel Fell from the Sky." Adasiewicz's effervescent accents elevate the date, particularly on "Microraptagonfly," a serene duet with the leader, and "The Field," an ebullient showcase for his billowy cadences. Mazurek's enthusiasm for experimentation never overshadows his skill as a tunesmith however. 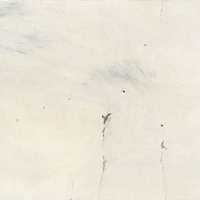 The album beguiles with cinematic atmospheres; muted horn, moody bass and understated vibraphone conspire on the noir "Le Baiser (The Kiss)," while "Dragon Kites" and "The Star Splitter" elicit Eastern modality with ritualistic fervorregal meditations brimming with hypnotic drones, scintillating bells and exclamatory brass. "Beauty Wolf" is the most ambitious cut, an episodic fusion of tranquil acoustic motifs and glitchy electronica. 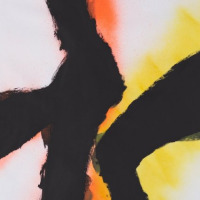 Sound Is serves as both question and answer, offering the most focused demonstration of Mazurek's multi-faceted aesthetic to date; a potent blend of populist accessibility, inventive electro-acoustic tonalities and edgy improvisation. Track Listing: As if an Angel Fell from the Sky; The Earthquake Tree; Dragon Kites; The Star Splitter; The Hill; Le Baiser (The Kiss); The Lightning Field; Cinnamon Tree; The Dream Rocker; Beauty Wolf; Microraptagonfly; Aphrodite Rising; The Field; Nora Grace. 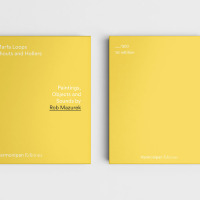 Personnel: Rob Mazurek: cornet, synth, piano; Jason Adasiewicz: vibraphone; Matthew Lux: bass guitar; Josh Abrams: acoustic bass, piano; John Herndon: drums, percussion, tenori-on.